294 pages | 17 B/W Illus. David Travis has been carrying out ethnographic field research and running product usability tests since 1989. He has published three books on user experience and over 30,000 students have taken his face-to-face and online training courses. He has a PhD in Experimental Psychology. 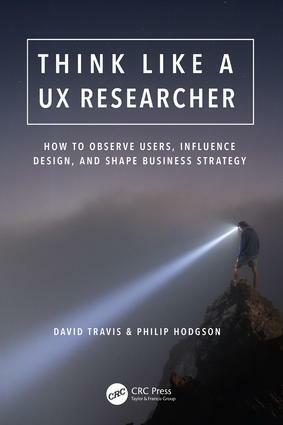 Philip Hodgson has been a UX researcher for over 25 years. His work has influenced design for the US, European and Asian markets, for everything from banking software and medical devices to store displays, packaging and even baby care products. He has a PhD in Experimental Psychology.